A pair of evergreens weathers a late spring snow storm on the hillsides above Emerald Lake. 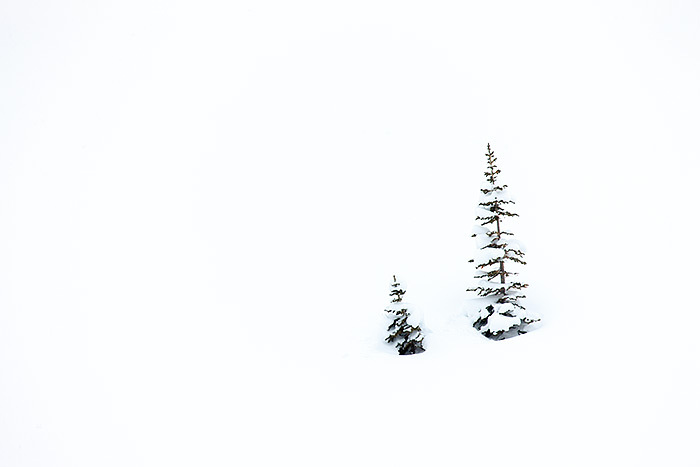 These two trees poking out of the heavy snow where the only details on a snow blanketed landscape below Hallet Peak. Photo © copyright by Thomas Mangan.